Determining which drivers move on to nationals depends on their overall score. With each state throwing drivers different issues and courses, results vary. “There are 480 available points based on the rules, but course problems, pre-trip defects and written exam questions are developed by the state,” Pierce said. Watch for our state-by-state 2019 Road to NTDC coverage coming in late April. Look back at 2018's coverage here. 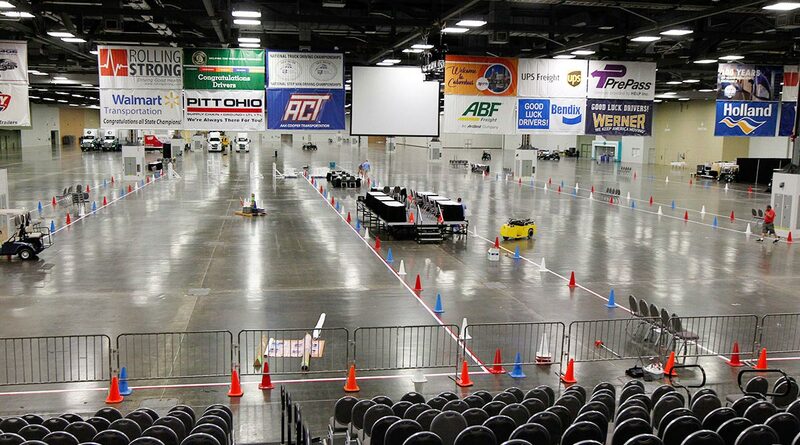 Some states have hundreds of drivers turn out for championships, while others have a much smaller pool to draw from. According to Pierce, each state is required to have three participants in a category to have a legitimate winner advance to nationals. This year, NTDC attendees can expect changes at the Aug. 14-17 event in Pittsburgh, the biggest being a two-part awards ceremony and celebration. “It focuses on the awards first then a celebration of the competitors and awardees after,” Pierce said. The point of two events is to highlight the accomplishments of drivers with the awards ceremony, and then have time to mingle at a separate celebration. Pierce is ATA’s liaison for NTDC and helps coordinate the four-day event. Louisiana’s competition March 29-30 will mark the start of state TDCs. The Louisiana Motor Transport Association is expecting a field of 105 drivers across all nine divisions. Last year’s Grand Champion, Eric Courville of FedEx Freight, is returning after a successful showing at NTDC 2018, where he took home the 3-Axle championship. To qualify for state TDC, drivers must have a safe driving record for the past year and be employed by the same company for that year. May and June are the busiest months for state championships, so look forward to coverage on the winners from each state.